Folk Night@the Registry’s 13th season is a blend of prominent established and exciting emerging talent from across Canada (Ontario, Alberta, British Columbia, Nova Scotia, Newfoundland) and New York State. Presented in the partnership with Old Chestnuts Song Circle, Waterloo Region’s premiere folk series welcomes traditional folk artists and contemporary singer/songwriters who span a range acoustic styles. In addition to the 2018-19 season package of six concerts, Folk Night features a special Winter concert in December and partners once again with the Registry for the 6th annual Roots Weekend next spring. Three series concerts—Tamarack, Ennis Sisters and Valdy—are already sold out. 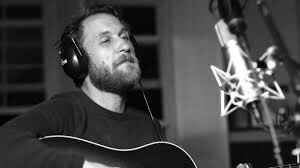 Originally from Waterloo, Craig Cardiff has lived in the Ottawa area for a number of years. He’s released 16 albums since 1997. His latest is a five-song EP of Bob Dylan covers released to celebrate the Nobel laureate’s birthday. Cardiff has toured North America and Europe extensively. Although he appears in Waterloo Region regularly, this marks his Folk Night debut. In 2012 he was a Juno (Roots and Traditional Album of the Year: Solo) and Canadian Folk Music Award (Contemporary Singer of the Year) finalist for Floods and Fires. His live shows are known for their intimacy, sense of good times and poignancy, as well as for making audiences feel a part of the performances. 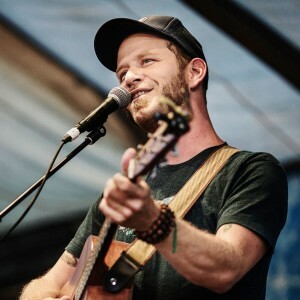 A balladeer with celebrated personal warmth, Alberta’s Scott Cook transforms stories acquired over a decade of touring into straight-shooting, keenly observed songs that span folk, roots, blues, soul and country styles, accompanied on fingerstyle guitar and clawhammer banjo. His fourth album, One More Time Around, was nominated for a Canadian Folk Music Award. One of its tracks, “Pass It Along,” was a winner in the 2013 UK Songwriting Contest, leading one British magazine to claim him as “one of Canada’s most inspiring and imaginative storytellers.” His sixth album, Further Down the Line, earned Cook a second Canadian Folk Music Award nomination. One of Canada’s seminal folk groups is re-uniting to celebrate its 40th anniversary. Guelph-based Tamarack was an influential force in the growth of contemporary folk music in Canada. Although its debut, Music of Canada, consisted mostly of traditional songs, the group’s subsequent 17 albums featured songs written by its revolving band members. Most songs were inspired by Canadian history and geography, landscape and people. Founding member James Gordon will be joined by other bandmates (to be confirmed, but likely to include Molly Kurvink, Alex Sinclair and Jeff Bird) in a celebratory retrospective. Other members — some of whom might well appear — Randy Sutherland, Gwen Swick, Shelley Coopersmith, Melanie Doane and Duncan Cameron. The O’Pears is a Toronto-based contemporary folk trio consisting of Lydia Persaud, Jill Harris and Meg Contini. All are songwriters who weave stories that embrace the personality of folk music from a modern female perspective. The trio’s debut release, Like Those Nights, features strong solo vocal deliveries and soaring harmonies. 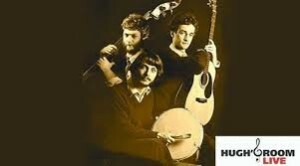 The trio’s early acclaim is based on the strength of a cappella and roots instrumentation performances at such festivals as Summerfolk, Great Heart Festival and Lunenburg Folk Harbour Festival, in addition to radio play across Canada. Like Folk Night fave Joe Crookston, Mark Rust hails from Upstate New York—in this case, the legendary Woodstock. He began his career as the youngest member of the travelling Rust Family, developing into an accomplished performer on various instruments including piano, banjo, fiddle, mountain and hammered dulcimer. 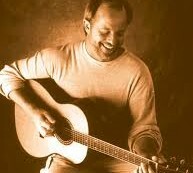 His music and stage presence reflect the beauty of nature and the simplicity of life while growing up in the Catskills. Recognized as “one of the Northeast’s great undiscovered songwriters,” he has performed across the U.S., Canada and Japan. During the 1970’s and early 80’s he was a mainstay at folk venues (such as London, Ontario’s Smale’s Pace) and festivals throughout Southern Ontario. 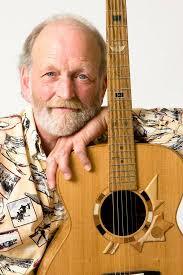 He has performed in concert with such luminaries as Pete Seeger and Peter, Paul & Mary. 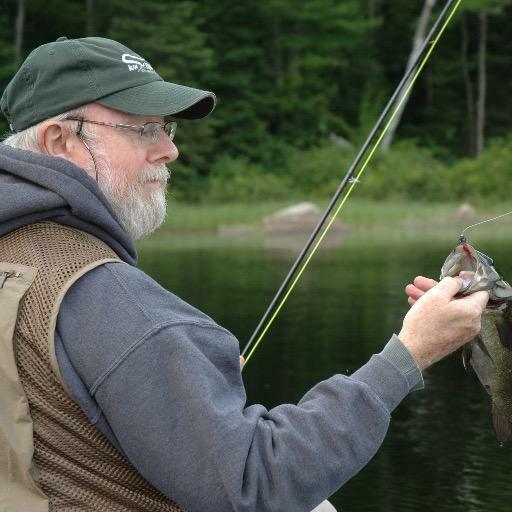 His recordings include Songs of America for Golden Books, Our Families Came to Sing featuring Tom Chapin, Home Fires featuring Peter Yarrow and fiddler/composer Jay Ungar, and his most recent Live at the Ithaca Festival. Two Ennis sisters made an auspicious debut at Folk Night in the spring of 2013. 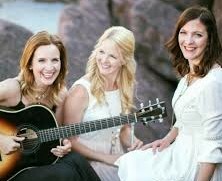 Reunited with their other sister the original trio returns to the Registry, loaded with accolades including a Juno and SOCAN, multiple East Coast Music Awards and Music Newfoundland & Labrador Awards. The Ennis Sisters — Maureen, Teresa and Karen — are celebrated songbirds. With voices as powerful as the North Atlantic and smooth creamy harmonies, the Ennis Sisters range from pop to country to traditional folk spanning two decades boasting 21 recordings. Their latest of album, Keeping Time, is produced by Great Big Sea founder Alan Doyle and includes 11 original songs written or co-written by Maureen. It’s a bit of a change from their previous album Stages, which was a “love letter to old world Newfoundland” with several covers and traditional songs. 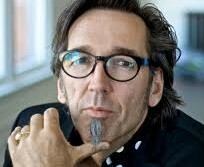 The concert is part of the 6th annual Registry Roots Weekend, which includes a Friday night concert with Stephen Fearing (see below). The one time I interviewed Paul Valdemar Horsdal in person, the performer known as Valdy confided that he hoped his life in some way resembled a comet tail. Based on a career spanning half a century, it is safe to say his legacy resembles a celestial projectile consisting of ice and dust with a tail of gas and dust particles crossing the heavens of Canadian music. Valdy is woven into the fabric of Canadian folk and pop. An artist with thousands friends spanning the globe, he’s a singer with a voice as honeyed and warm as malt whisky. He’s also a surprisingly nimble guitarist and an excellent songwriter. On top of his artistic skills, he’s a performer as adorable as a rescue dog brought in from the cold. Valdy has performed in the area many times. He appeared at Folk Night in the spring of 2012 and played to an enthusiastic afternoon crowd at Kitchener’s Bluesfest a couple of years ago. All of which makes the West Coast-based artist ideal the13th annual concert honouring Merrick Jarrett, Kitchener’s icon of folk music. 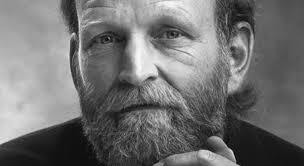 Perhaps remembered best for Play Me a Rock and Roll Song and Renaissance (penned by David Bradstreet), Valdy has sold half a million copies of 19 albums (including three with Gary Fjellgaard) and has nabbed a couple of Junos (Folk Singer of the Year and Folk Entertainer of the Year) in addition to seven Juno nominations and four Gold albums. Note: special start time of 7:30 pm. Boreal returns for a holiday concert at The Registry. The popular Guelph-based trio, which consists of Katherine Wheatley, Tannis Slimmon and Jude Vadala (the last two of whom formed two-thirds of the fondly remembered Bird Sisters), first played at Folk Night in 2015.
mandolin, bass, keyboards, percussion – but it’s the soaring vocals of three of Canada’s finest harmony singers that define the group. 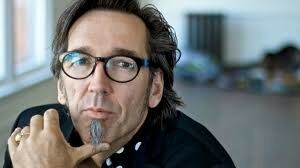 Stephen Fearing has performed in Waterloo Region many times over the years — and he has never disappointed. As a gifted writer, vocalist with a raspy bourbon-soaked voice and acoustic guitarist as powerful as any on the planet, he’s the real deal. And a great guy, to boot. Born in Vancouver, Fearing lived in Guelph for a number of years before moving to Halifax. En route the Juno-winner has released 11 solo albums, including 2017’s Every Soul’s A Sailor and 2018’s The Secret Climbing (vinyl). His stature among peers is reflected in those who appear on his albums including Bruce Cockburn, Margo Timmons, Richard Thompson, Shawn Colvin and Sarah McLachlan. He has toured the world as a solo artist, as a duo with Irish-born singer/songwriter Andy White (two more albums), and as one third of the joyously rowdy and raucous Blackie and the Rodeo Kings, with Colin Linden and Junkhouse lead-dog Tom Wilson (nine more albums and another Juno). Series shows start 8 pm and take place at the Registry Theatre, in downtown Kitchener. Advance tickets and a limited number of series passes are available through www.folknight.ca and jhcole@mgl.ca.